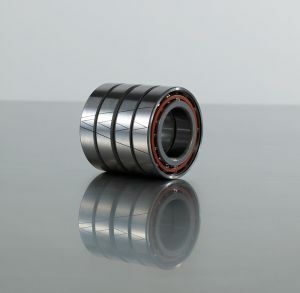 ARTB bearings are axial-radial bearings. 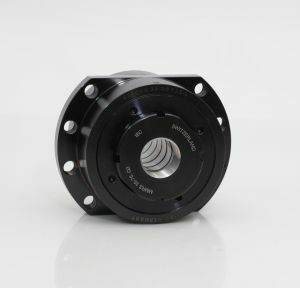 They consist of an angle ring, an outer ring and a cover disk and have two cage-guided axial roller assemblies and a full complement radial roller assembly. This allows combined loads in the axial and radial directions to be taken up and results in a one-bearing solution that is ready to mount and easy to install. Ball screws in machine tools drive workpieces and machine parts quickly, efficiently and precisely. The BSD and BSDF rolling bearing series were developed as uncomplicated support bearings for ball screws that are easy to mount. The double-row precision 60° ball screw support bearings provide highly precise (P4), low-friction and stiff support bearings for ball screw spindles with a high load- bearing capacity. 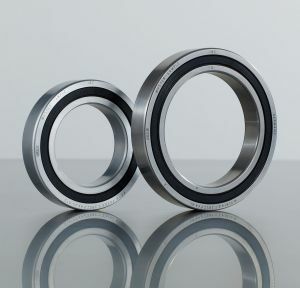 Precision 60° ball screw support bearings that act on one side take up axial loads only in the direction in which the rolling bearings have loads applied between the high flanges of the inner and outer rings. 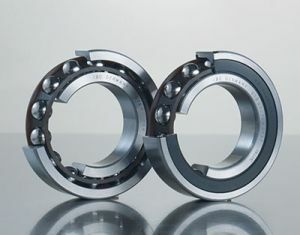 In most cases these rolling bearings are used against one another in pairs. A typical application is for support bearings for a ball screw. Precision 60° ball screw support bearings are universally ground. 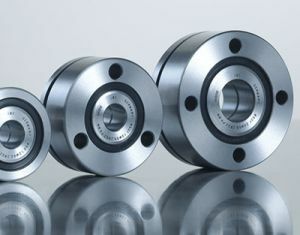 The minimum support for a spindle uses a single high-precision angular contact ball bearing on each side. The two are then arranged at a greater distance. Setting the required preload in this arrangement is done with a defined tightening torque by a suitable locknut or a ground-in flange cover. 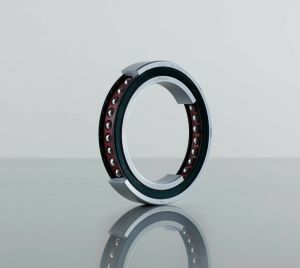 The correct lining up of the two separate high-precision angular contact ball bearings is of great importance for the proper functionality of this form of angular contact ball bearings. 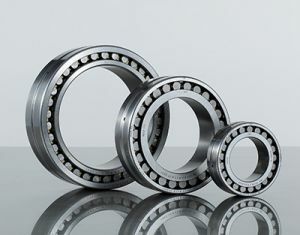 In addition to single-row high-precision angular ball bearings, IBC cylindrical roller bearings also find application in machine tools. They combine a high degree of stiffness and load-bearing capacity with high running accuracy, the ability to run at high speeds, and a low cross-section height. They are manufactured in single-row design in the 19.. and 10.. dimensional series and in double-row design in the 30.. and 49.. dimensional series. 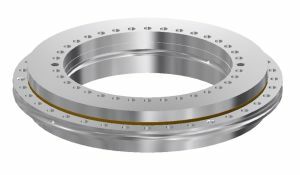 All IBC high-precision angular contact ball bearings are universally ground and can therefore be used individually or combined to form an angular contact ball bearing set in any desired bearing arrangement. The use of universal angular contact ball bearings for mounting as a set is a great advantage, especially concerning inventory and component availability. 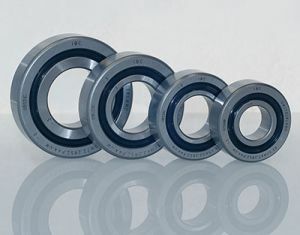 DTB high-precision bearing series (Driven Tool Bearings) was developed especially for driven tools as used for milling and drilling in modern high-precision machine tools. These forms of machining are often done in a limited space with short cycle times and with the use of high machining forces.